The Paw Wash is a self-serve dog wash and full service groomer. For the Do-It-Yourselfer there are 5 individually gated stations that include your own raised tub and drying station. Everything you need to wash your dog is provided for you, including shampoo/conditioner, towels, brushes, blow dryers, aprons, etc. When you're all done, we clean up the mess for you so that you don't have to! Each room is cleaned and sanitized after every use. 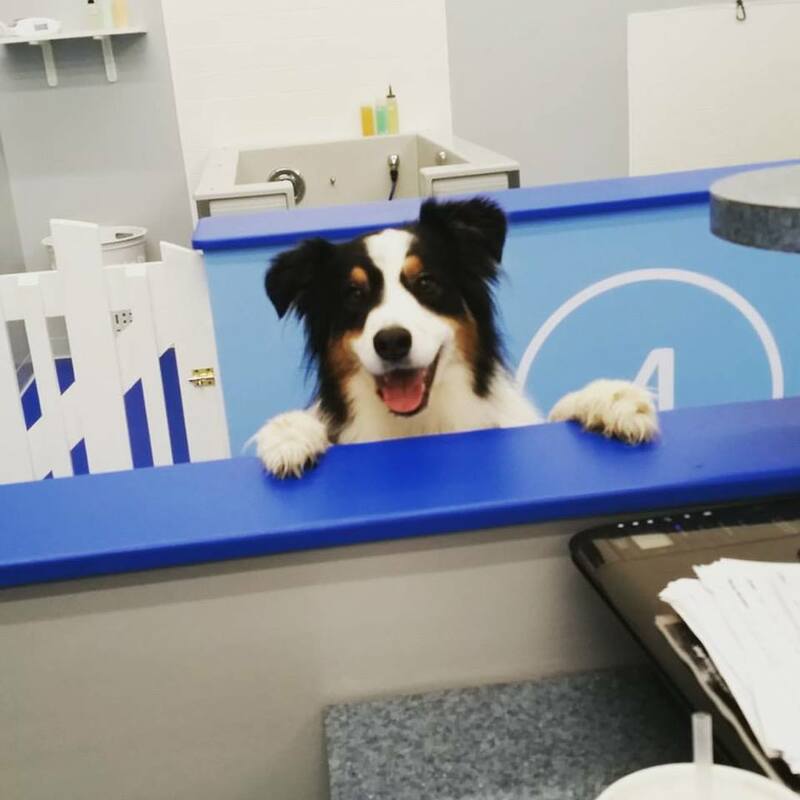 The Paw Wash has been in business for over 15 years, and we are the only business like it in the area. The Paw Wash is under new ownership as of May 2017, and we hope to make positive changes you will enjoy while providing the excellent service you have come to expect!